WITSOP™ application is built on the basis of CMS (Content Management System) Open Source Drupal, one of the strongest and most complete of his generation. 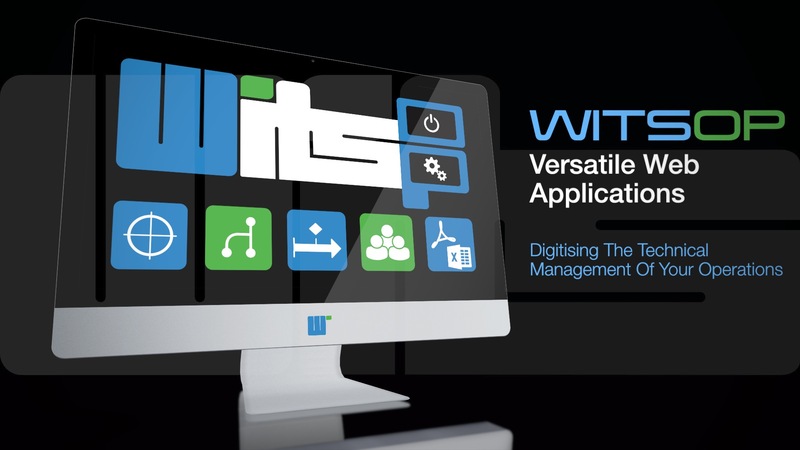 This therefore allows WITS Engineering to ensure continuity in the updates to the core of the application. The GUI module allows to link any element derived from the database to dynamic graphic elements represented on maps (Graphical Interface System with Open Street Maps) or collection of images (Image Mapping). A powerful cross- referencing module allows automatic reciprocal link the content. So if content#1 has a link to a content#2, content#2 database object interprets the return link to content#1. The application design allows advanced user definition of access rights as needed. It also can be used on all types of fixed terminals (Windows, MacOS, Linux) and mobile devices (iOS, Android). All SQL queries can be exported in Excel format to be used separately or to interface with other management systems. A powerful conversion module XML format also publish customized reports. As part of your own assets, maintaining the historical technical database will give you a clear view at all times on the health status of your systems. As part of the maintenance of equipment on behalf of a client, the precise knowledge of the case will allow you to boost your commercial customers for future tasks. A precise knowledge of the history of a system can save considerable time in the decision making process. The seizure and materialization of information in single database is structured and universal. The information input method is unique and independent form individual methods that every users could implement individually. Shall the objects in the database be georeferenced? Are interfaces with other systems necessary? And what kind are they? What are the dynamic indicators (changing state) to be graphically materialized? What types of reports are needed and what are their format? Subsequently, a prototype application will validate and refine requirements. The application will then be developed and customized in-house and delivered to the customer for acceptance. It is deployed on a web server accessible by secure protocol (HTTPS) with a SSL3 certificate (Socket Layer). The application is deployed in your organization 's infrastructure. In the first case , we ensure availability of 99.8% for the server and can respond quickly and transparently (hidden time) as part of the support, maintenance, or for any queries on improving ergonomics or functionality of the app. All will be contained in a single contract SaaS (Software as a Service) and is generally the most economical solution for our customers. In the second case, we will discuss with your IT department and verify the characteristics of your infrastructure. We can adapt the system to all types of environment. Concerning the support and maintenance of the system, the level 1 support (servers and system issues) is performed by your IT staff, and the Level 2 ( related to the use of the application ) and Level 3 ( improvements) support will be covered by a separated contract stipulating the conditions for intervention in your premises. It relies on the skills of companies and communities of experts in web development, especially around the Drupal CMS. WITS Engineering manages all its developments with an operational vision of a finished product, the ergonomics and Human | Machine interface customization being a priority for the web applications to fully satisfy users daily requirements.